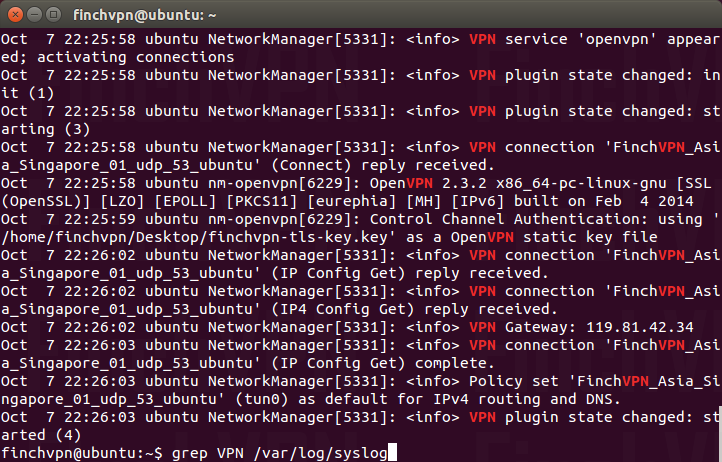 This guide describes the configuration of OpenVPN on Ubuntu Linux using the Gnome Network Manager. It might also be applied to other Gnome-based desktop Linux distributions. The guide was tested on Ubuntu Linux 14.04 LTS (Trusty Tahr). Step 2. 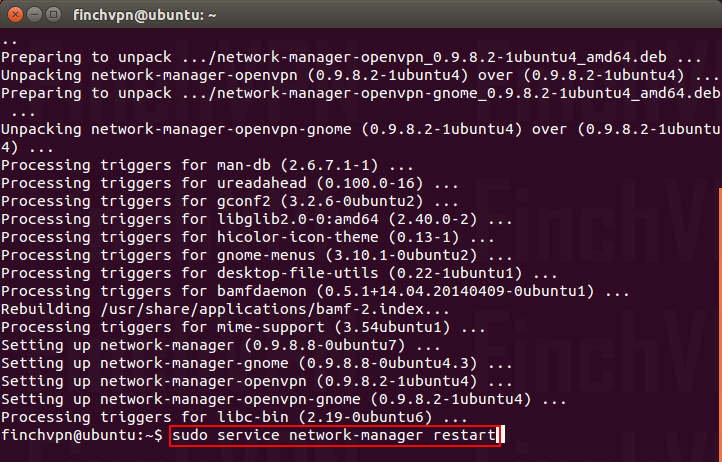 Open a terminal and enter the following command to install the Gnome Network Manager Plugin for OpenVPN. As a dependency, the required OpenVPN binaries are also installed. In case parts of the Gnome Network Manager are already installed, they need to be forcedly reinstalled to have the newly installed components properly registered in the system. Step 6. 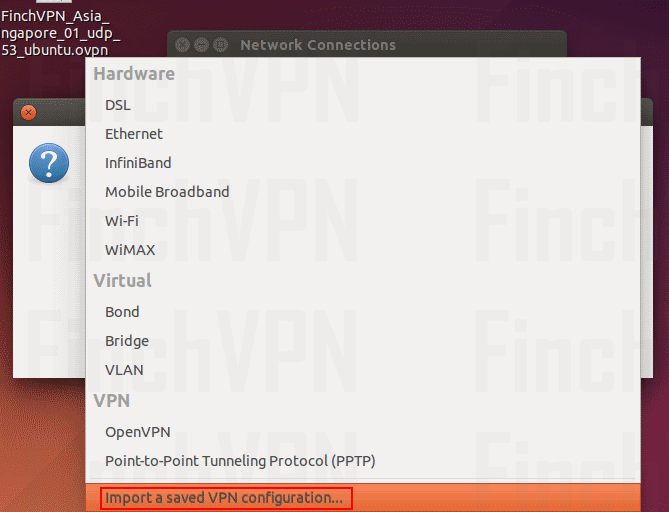 From the Gnome menu bar, open the Network Manager menu and select Configure VPN. Step 7. An overview of configured network connection appears. Click the Add button. Step 13. In the Security tab the Cipher should already be set to BF-CBC. Click TLS Authentication. Step 14. 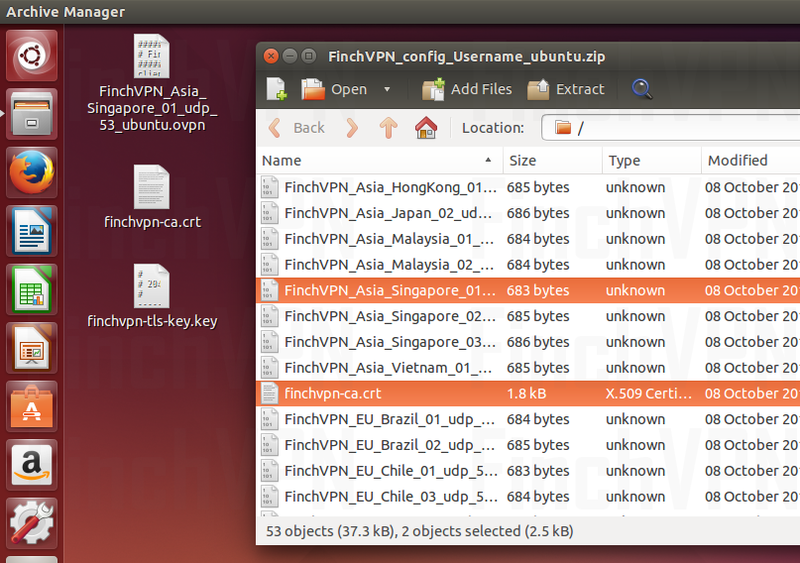 In the TLS Authentication tab, make sure the Key File field is pointed to finchvpn-tls-key.key. The Key Direction needs to be set to 1. You can skip the Proxies tab for now and click OK. Step 15. After having set up a new VPN connection, it is available in the Network Manager menu. 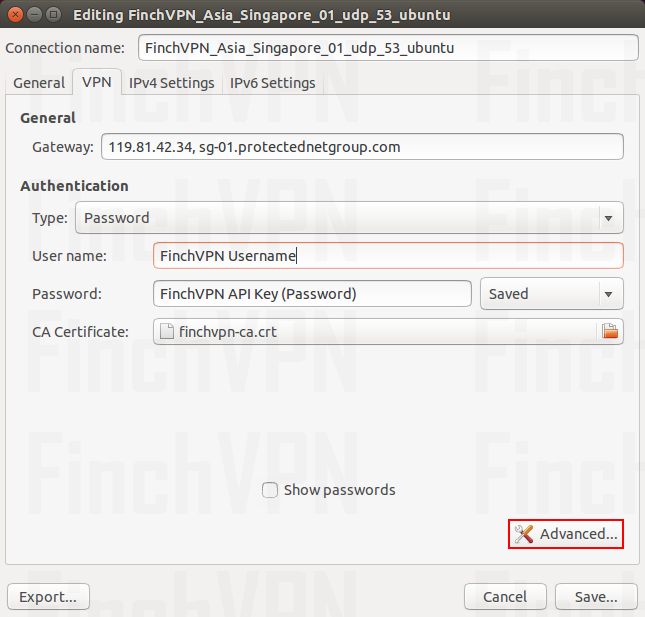 Open it and select FinchVPN from the list of configured VPN connections. The VPN connection gets established. Step 17. 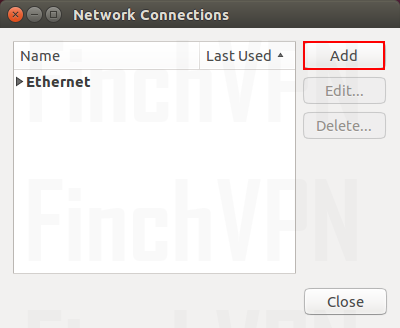 If you want to disconnect your VPN connection, click the "Disconnect VPN"
For advanced technical users of Linux, including Ubuntu Server, connecting is as simple. 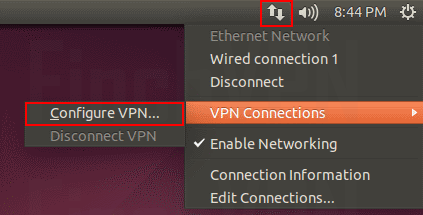 To disconnect, simply stop openvpn by using Ctrl+C.